Cape Arago State Park is on the Southern Oregon Coast just south of Charleston, a fishing village, and Coos Bay, Oregon. Ocean waves crash on rocky shores and winter winds sculpt the trees. Cape Arago State Park is part of the Louis J. Simpson Estate. 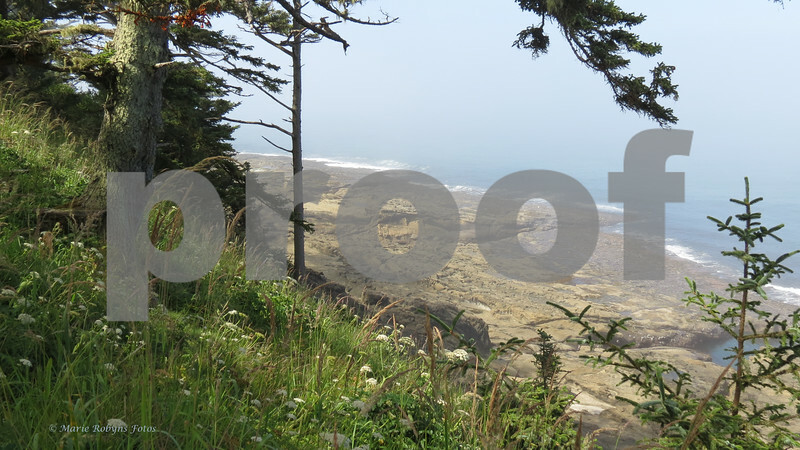 Lifting fog reveals the windswept trees and rocky shoreline of Cape Arago State Park. Photographed July 27, 2012 at 10 am.